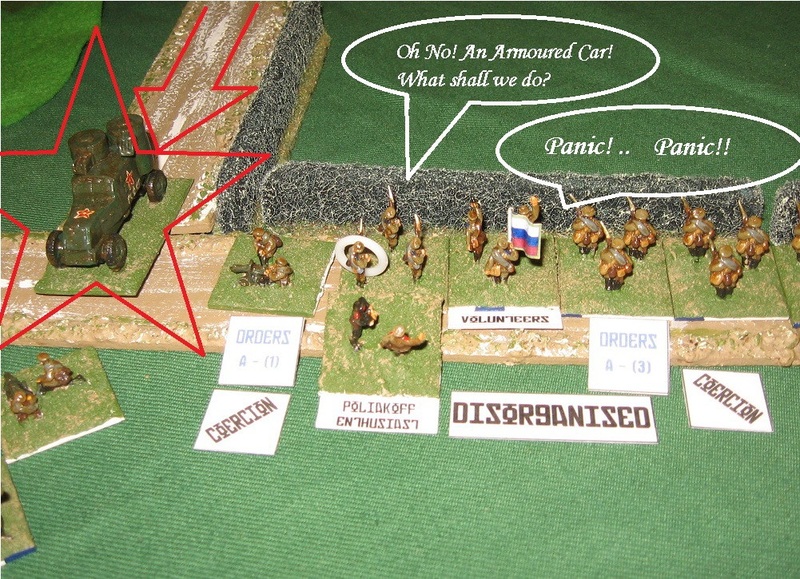 Graham wanted to try a dice-moderated initiation and command system to replace the cards that featured in the version that went to COW (see the latest issue of the Nugget, see the COW report here) – the rest of us just wanted to get his RCW collection out again. Everyone panicked, but unexpectedly the driver veered off in front of the adjacent battalion, rather than enfilading us as we cowered hopelessly and helplessly on the road. 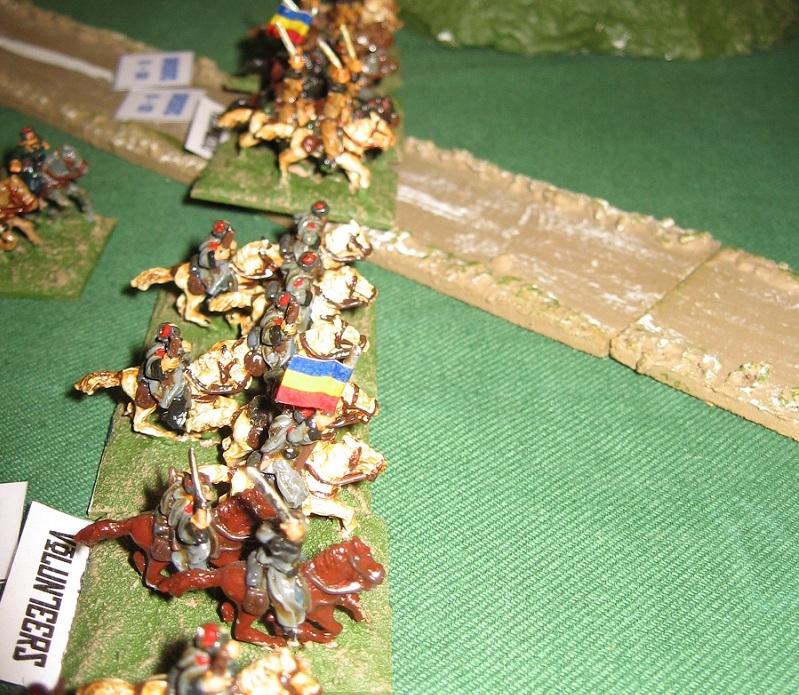 Given a second chance, we filled it full of a much lead as our boiling maxim guns could deliver, and, indeed, it started rattling and chuntering before rolling to a halt with bits falling off. and it veered away up there ... deliverance! I liked the Black Powder-style initiations less than turning the cards, though we learned a fair bit from this run through. The ‘coercion’ system is excellent, and it has a good period feel. The damage/morale cards for the Armoured Cars remains a great twist, though, in this game, even I thought the A/Cs were too mobile too often. 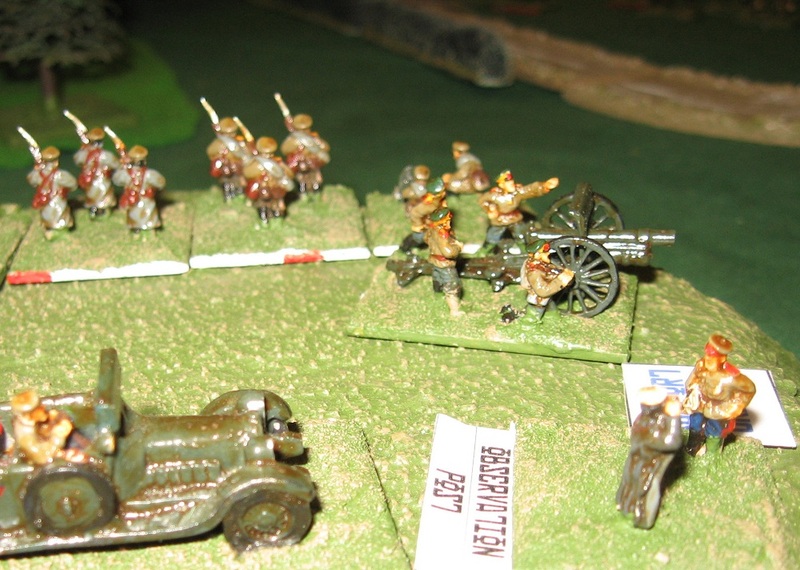 The infantry still advance too slowly, and small arms fire is generally ineffective (I concede, I realise this is to accentuate the impact of the maxim guns). 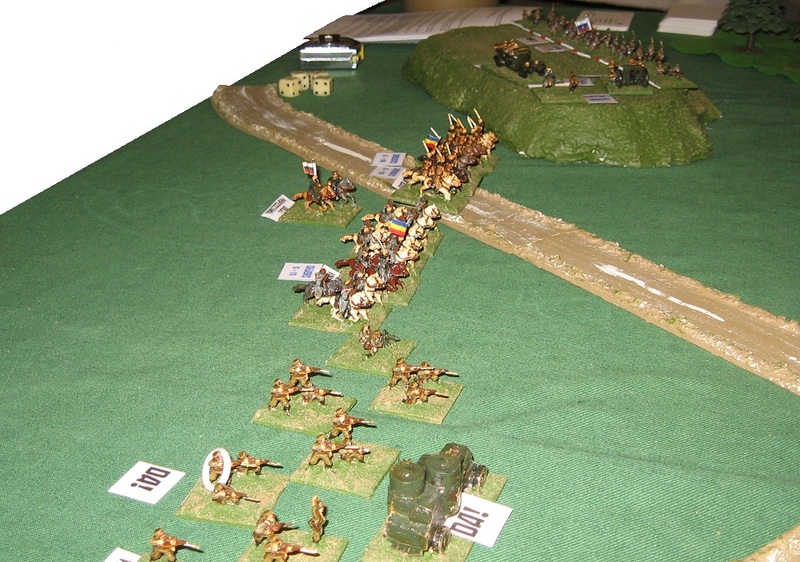 And I am unsure about cavalry vs infantry … if the cavalry are not shot off, shouldn’t the infantry panic? Is open order better or worse? I suspect my instincts here are more influenced by Dr Zhivago than by thorough knowledge of the sources, I’m afraid. Ah well … the personal life is dead in Russia. History has killed it. I think we’ll try another game with the new system before I admit I was right first time round. The a/cars were too mobile, but we can fix that easily. 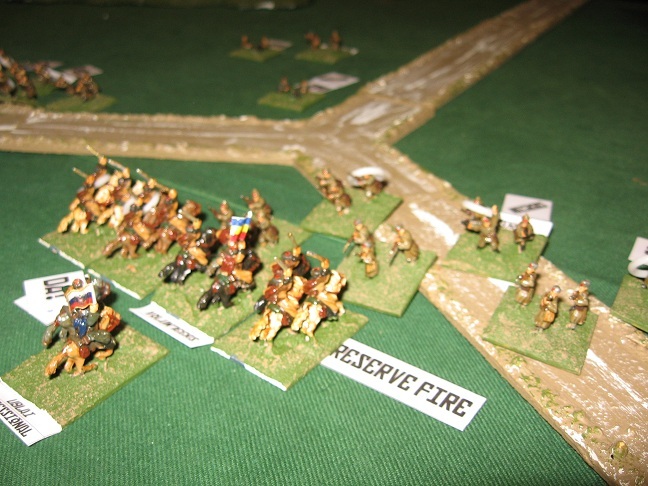 The melee rules are certainly not good enough yet, but making rifle fire more devastating is easy enough. Love the pictures by the way.